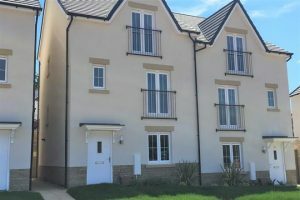 We are delighted to be working with Bovis South West at Cloakham Lawns in Axminster. Supplying both trusses and joists into a range of plots with 2, 3, 4 and 5 bedroomed houses. While the project presented no design challenges, all deliveries had to be made on rigid vehicles. However, RML Wales and West runs a mixed fleet and was able to accommodate this requirement without issue.